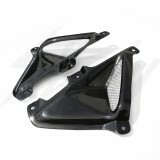 Tyga Performance Black Tank Shroud with Duct and Grills for Honda Grom 125 / MSX 125! 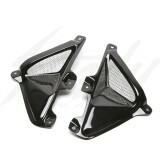 Replaces the nasty plastic stock items and transforms the appearance of your bike. Uses original Honda mounting points and screws. Requires removal of the bodywork but the results are well worth the effort. Tyga Performance Black Tank Grills with Duct for Honda Grom 125 / MSX 125! Decorate your MSX125 Grom by replacing the nasty plastic stock items and transforms the appearance of your bike. Uses original Honda mounting points and screws. Requires removal of the bodywork but the results are well worth the effort.